The Alberta Public Security and Law Enforcement Training Centre will cover about 340 acres in Fort Macleod. 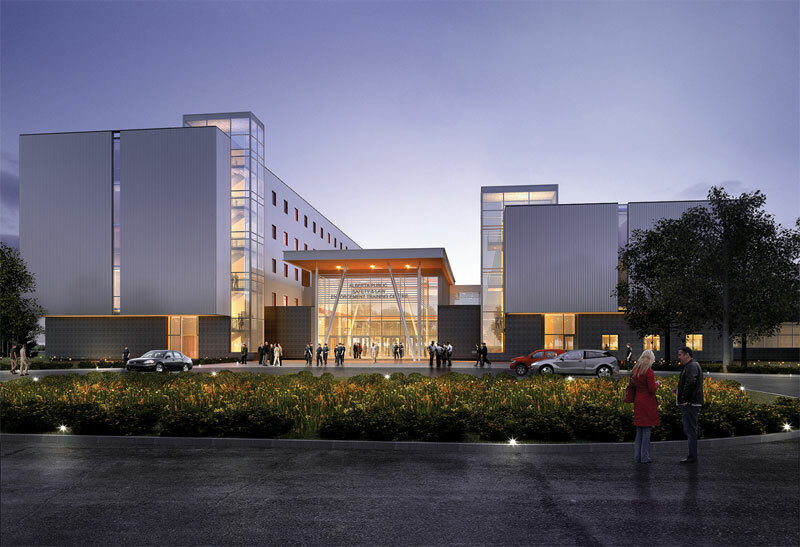 This illustration shows the main entrance to the Alberta Public Security and Law Enforcement Training Centre. The design of the Alberta Public Security and Law Enforcement Training Centre began with a simple phrase. The Latin phrase “A Terra Nos Surgere” or “From land we rise” was chosen to describe the vision for the first training facility of its kind in Canada. “I wanted to make certain there was a message behind our design and that it came through,” Vicenzino said. 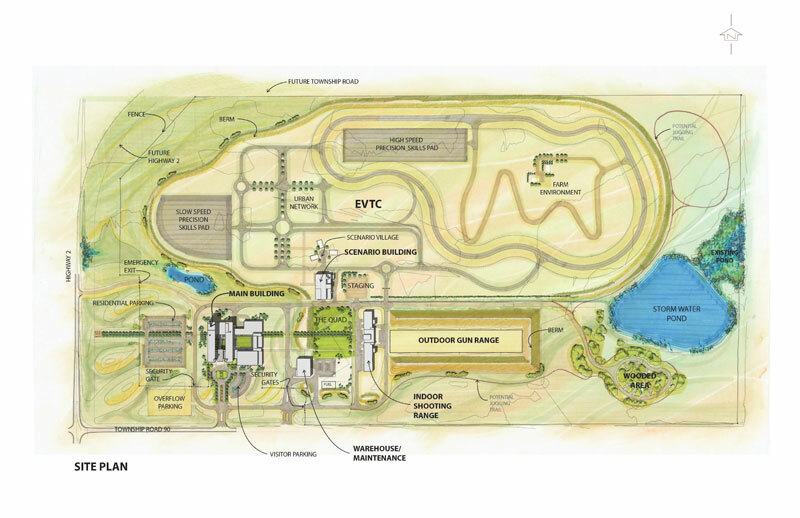 The provincial government last month chose the design-build proposal from Bird Design-Build Construction Inc. and Stantec for the training centre in Fort Macleod. An estimated 1,350 police and peace officer recruits will be trained each year in Fort Macleod beginning in September 2014. Creating the winning design required more than just deciding where the bricks and mortar would be placed. The design team considered aspects such as the arrival of the North West Mounted Police here in 1874, the railway grid and even irrigation canals. “We looked at all kinds of events related to starting to impose order on the natural landscape,” Vicenzino said. The training centre will cover about 340 acres just off Highway 2 south, which was donated to the project by the Town of Fort Macleod. Another challenge was ensuring the training centre contained all the required components, and was built within the government’s approved budget. Construction of the training centre is expected to cost about $95-million. The total project budget is $122-million. The design team also set out to create a facility that fit with the region, which made the use of materials an important factor. Environmental conditions also played a role in the design. Vicenzino recalled his first visit to the site. An example of how the design team took the strong winds that buffet Fort Macleod into consideration can be seen in the location of the five-storey residence building. It is placed in such a way to protect the other buildings behind it from the wind. Vicenzino said it was important the training centre be designed so that it is attractive to the public. There is a deliberate effort being made by police agencies to make their facilities open, approachable and welcoming. No longer are police facilities being designed to resemble fortresses. That philosophy is reflected in the main entrance to the training centre with its tall glass windows and brightly lit interior. “That’s where a lot of our effort went, trying to design a facility not only to be used to train people in law enforcement, but also bring pride to the community,” Vicenzino said. Stantec set out to design a facility that would be the envy of people in Canada and outside. 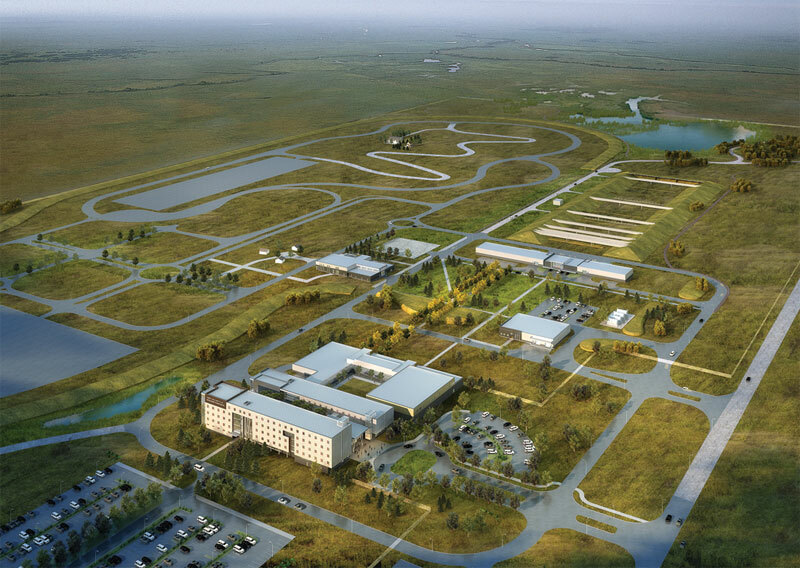 Stantec wanted the training centre to make a statement to visitors, knowing recruits and veteran police officials from around Canada and the U.S. will be training here. “This facility is going to be a destination point,” Vicenzino said. The designers also took into consideration that the training facility will be home for the recruits for an extended period of time. “We wanted to design something that was going to be a very good place to be,” Vicenzino said. The Stantec team designed with three levels of access in mind, or security zones. There are areas at the training centre, such as the front entrance and multi purpose room just off the lobby that will be open to the public. Some areas of the training centre will offer only limited access, and the third and final zone is open only to security personnel. “We laid out the entire centre based on those zones,” Vicenzino said. The training centre will have a residence building, simulation labs, classrooms, a mock courtroom, mock processing unit, 25-metre and 50-metre indoor shooting ranges and a 300-metre outdoor shooting range, an indoor urban streetscape, an urban village and rural farm scenarios, high and low speed test pads and a forest scenario. “They are all located based on the level of access required by various groups,” Vicenzino said. Construction of the Alberta Public Security and Law Enforcement Training Centre is to begin this summer. “We are currently finalizing the last details with the province,” said Ian Reid, Calgary district manager with Bird Design-Build Construction Ltd.